(MIAMI) – A SWAT team is under investigation for storming into a home in Coconut Grove at around 11 a.m. with a narcotics warrant. According to the homeowner, Bobby Mclendon, the warrant that SWAT presented to raid his house was for 2 blocks away. However these brutes did not care. They came in belligerent, with guns drawn ordering children around like slaves. When the children didn’t react fast enough to the officers’ commands one child was subsequently bludgeoned with the buttstock of a rifle. 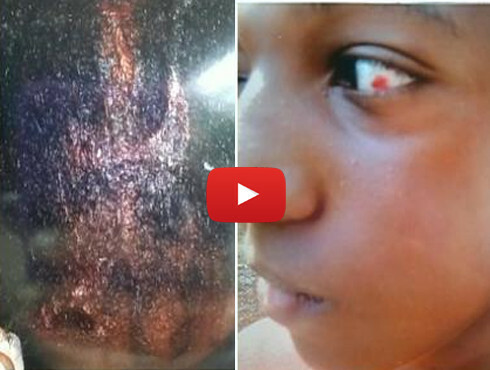 “They didn’t have any reason to, but they hit my nephew in the head with their rifle. He’s 13,” recounts Mclendon. After assaulting the first child, they went into the room of Mclendon’s 12-year-old son, who was asleep. SWAT ordered the boy out of the bed and to put his hands behind his back. As the boy was complying with their orders, but apparently not fast enough, “they punched him in his left eye,” says Mclendon. Apparently, after beating up two children, SWAT wanted more, so they began smashing up the place. “They broke every single flat screen TV, they broke the play station 4, they broke every single picture frame for whatever reason…..Every single thing they could possibly break, they broke,” said Mclendon. According to McClendon, officers went to the wrong house because the address on the warrant states 3744 Williams Avenue and the home that was raided was at 3844 Thomas Avenue. That point is disputed by Miami Police. The “narcotics” that police found turned out to be a small amount of marijuana. Also, last time we checked, guns were not illegal. This is yet another barbaric example of the aggressive, militarized police system being beefed up and used against good people, in the relentless and deadly war on drugs. The state does not care whether they lay waste to children or even infants, in their immoral pursuit to control what you put into your own body.